I had the opportunity this week to serve on a Delegated Legislation Committee. Whilst most people appreciate that Parliament considers Bills which if passed become Acts of Parliament and form part of the statute law of the Country I suspect relatively few are aware of the laws that are introduced by way of Delegated Legislation. This is where new laws are introduced under the provisions of an existing Act of Parliament. The First Delegated Legislation Committee met on Monday to discuss the Alcoholic Liquor Duties (Definition of Cider) Order 2010. The effect of this is to ensure that in order to benefit from the lower rate of duties applicable to ciders the final produce must contain at least 35% fruit juice. The effect of this measure is to deal with the prevalence of very high strength ciders that are on the market that have a very high alcohol content but bear little resemblance to traditional cider. These types of alcoholic beverages often play a large part in the incidence of anti-social behaviour. 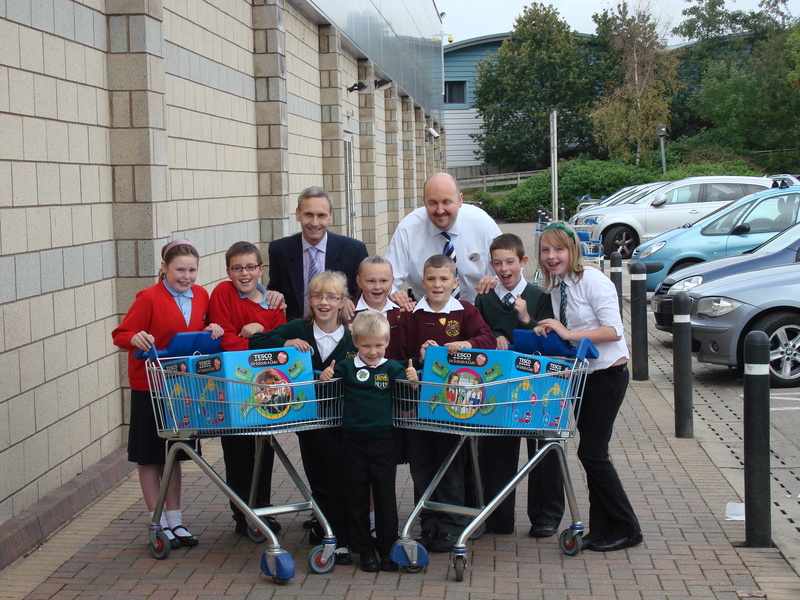 On Friday morning I attended the Tesco stores at Ramsbottom and Bury to present activity equipment to five schools who had taken part in their scheme where schools can obtain extra equipment by collecting vouchers. The boxes I presented were extras that had been donated by Tesco’s to participating schools. Yesterday we were asked to approve a motion relating to the amount of our contribution to the European Union Budget. Not surprisingly the Ruropean Union want us to increase our annual payment to their bloated bureaucracy. To be fair to the Government the reality is that their hands are tied by the decisions of the previous Labour Government. Because of the way the European Union works whatever we might decide in Parliament the other countries of the European Union can vote to ignore us and in the case of the budget whatever the House of Commons votes for in the end we will be expected to pay up the amount they decide. It is for this reason that I decided to vote against the three line whip and for the amendment put down by my Conservative colleague Douglas Carswell which called for our contribution to the European Union to be called. Next week we will hear the results of the Comprehensive Spending Review and at a time when we are having to make savings in the UK we should not be even contemplating paying more money to Brussels. On Tuesday we were asked to vote on the date of the proposed referendum on whether we should abandon our well understood and sensible most votes wins system and instead adopt the alternative vote system. I have heard that when the Electoral Commission did some research into how well understood the AV system was they discovered that some people thought it meant they could choose to vote at a different (alternative) polling station than the one they normally vote at, Logical and in view of the much publicised problems that occurred in some areas at the last General Election I can understand why some people thought that would be the problem Parliament was trying to resolve. Of course I take the view that this referendum is completely unnecessary anyway and that is why I voted against the Bill on Second Reading. As with all issues I try to decide how to vote in terms of what would be best for my constituents. I came to the conclusion that if we have to have a referendum at all we might as well have it on the same day so that voters are not dragged to the polls twice which would cost tens of millions pounds more. I considered carefully the argument that such important constitutional decisions should only be taken in isolation of any other election. I decided that my constituents are quite capable of voting on the issue of the voting system at the same time as choosing who they want ton act as their local Councillor for the next four years. So I voted to keep the date which is set out in the Bill. My 10 minute rule motion seeking leave to introduce a Bill which would have allowed pubs and clubs to have a separate smoking room was defeated by 141 votes to 86 votes earlier today. Clearly this is an issue which arouses great passions on both sides of the debate. If I could just make a brief comment about the administrative arrangements for my blog. All comments have to be approved by me and everyone will have noted I allow through all reasonable comments but I do reserve the right to refuse to allow people to post anything which is illegal or offensive. This does mean that there is a delay between comments being submitted and them appearing on the website for which I apologise. Can I also thank all those who have used my blog to contribute to the debate. I regret it is not possible for me to reply individually to all the posts. On Wednesday I will be seeking the leave of the House of Commons to introduce a Bill which would exempt pubs and clubs from the blanket ban on smoking in public buildings. The Bill would give individual pub landlords the right to choose for themselves whether or not to allow smoking to take place in a separate room fitted with air extraction equipment. Areas in which food is being served would continue to be entirely smoke free. Although many pubs have been able to create outside smoking areas on their own premises this is not always possible. In many pubs those customers wishing to smoke have to stand outside on the pavement and even though there is usually nothing to give cause for worry a large group can sometimes be intimidating for other pedestrians. If some pubs allowed smoking this feature of 21st century life would be reduced. Much is said about the sense in passing more power down from the centre to local communities and this Bill would do just that it would give the power to decide back to local pub landlords. The Bill would also apply to Private Members Clubs where the Members could decide whether they wanted to have a smoking room. In Bury we have seen a number of public houses close since the introduction of the smoking ban and many more have ‘For Sale’ or ‘To Let’ signs outside. Many of the pubs which remain open are struggling to survive. When a pub closes down everyone loses out not just smokers. I am a devout non-smoker and personally I prefer a smoke free environment. However whilst smoking remains legal it seems to me to be a sensible compromise to allow smoking to take place in public houses and private members clubs in a separate room with appropriate extraction equipment. Back from Birmingham. There is so much to do at Conference it just passes in a blur. Late nights and early mornings. I was up to do Radio Manchester interviews at 8am on Monday and even earlier at 7am today.